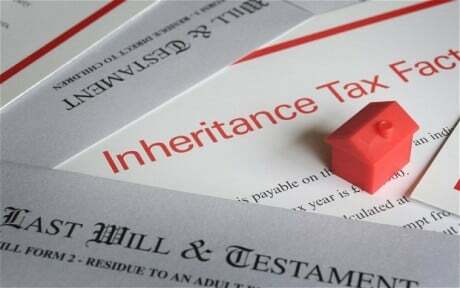 HM Revenue & Customs (“HMRC”) today published their Inheritance Tax (“IHT”) report for 2010-2011. IHT is levied on the value of a person’s estate at the time of their death and is charged at 40% above the tax-free threshold, which is £325,000 for 2013-2014. The IHT tax statistics are published by HMRC at the end of July annually and contain a historical time series of data for estates that require a grant of representation (an obligatory for the people who are distributing the assets of the deceased and it gives them the legal right to deal with the respective estate). A grant of representation is not usually needed for low value assets (worth less than £5,000). However, if the estate’s assets are worth over £325,000 then the necessary IHT has to be paid to HMRC, although this threshold is doubled for married couples. HMRC announced last year that the “nil-rate band” of £325,000 is due to increase to £329,000 in 2015-2016. In reviewing the report, the IHT taken by HMRC (“receipts”) in 2012-2013 was around £3.147 billion and represents an 8% rise from 2011-2012. HMRC claim that this increase was in part a consequence of the freeze in the “nil-rate band”, which has been held at £325,000 since April 2009 and in part a result of falling property prices. HMRC forecasts that receipts are likely to be £3.3 billion in 2013-2014. The report also shows that the average net capital value of tax paying estates is £906,000 compared to £245,000 for all estates requiring a grant of representation. One of the largest differences uncovered in the report was in the amount of securities held by these estates, in 2010-2011 taxpaying estates held an average of £255,000 compared to an average of £32,000 for all estates requiring a grant of representation. Furthermore, the report illustrates that the share of securities in the under 45s age group is higher when compared to the 45-60, 65-74, 75-80 and 85 and over age groups. However, this would be expected as the older age groups begin to realise assets in order to fund retirement as age at death increases. IHT is also due on assets with certain trusts at each ten year anniversary, the report shows that this amount decreased from just under £800 million to £600 million. These amounts were based on the assets net chargeable value and are increasingly reflecting a growing proportion of estates with a net chargeable value of more than £1 million. HMRC have stated that there are inevitable delays in settling the values of estates and obtaining payment of the IHT due. However, over 90% of IHT is paid in the year of death or the year following.